Superdry men's Cali applique logo crew sweatshirt. This sweatshirt features long sleeves, crew neckline, super soft fleece lining and ribbed collar, cuffs and hem. 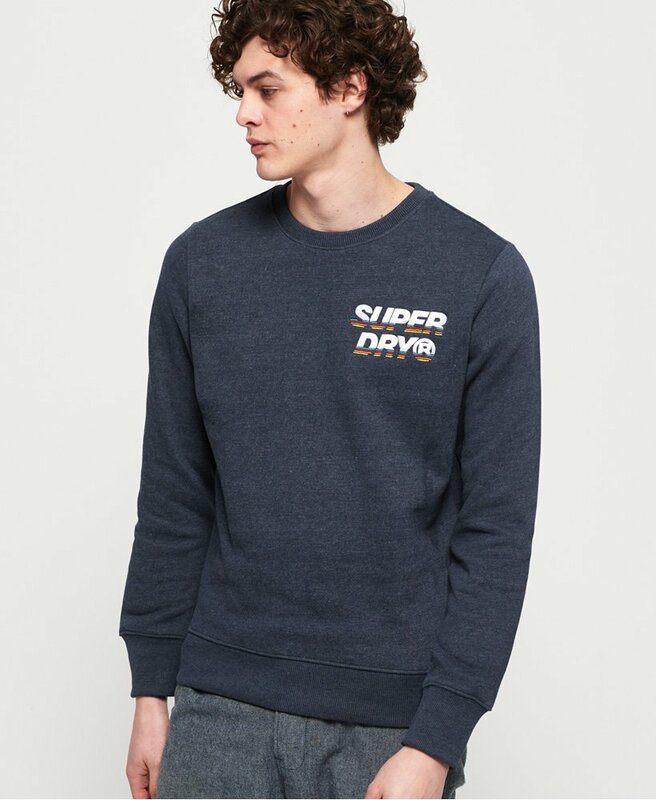 Finished with an embroidered Superdry logo on the chest and a Superdry logo badge on the back.